Construction: The 150 is 35 years old. 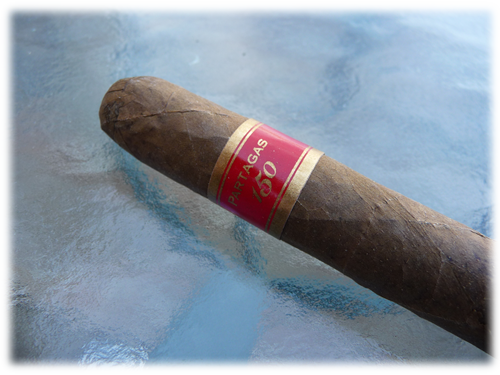 As a result the tobacco has a nice vintage look. The wrapper has an unusual yellow brown hue and a slightly rumpled antique look. A few veins are visible but they are very small. Overall a very rustic looking cigar and quite attractive. Pre-light Aroma and Draw: Because of its advanced age, the 150 has a nice mellow cedar and sweet aroma out of the very yellowed cellophane. Clipping the head is no problem and the draw is flawless. Not too open or closed. Light and Burn: I decided to indulge myself and light this old boy with a strip of cedar. It lit softly and easily. And developed a laser-true burn from start to finish with NO touch-ups. This produced a soft light gray ash. Tasting: The 150 A is delicious. Flavors are rich and lush with a heavy core of that same cedar and sweet tobacco the unlit aroma provided. There are hints of caramel, coffee, earth, and cinnamon in there but they are mellow from age. 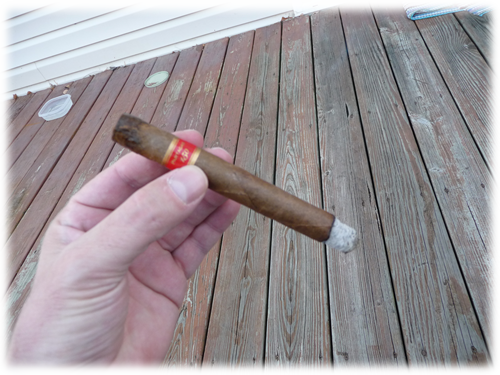 As the second third of the cigar hits there are tones of tea and dried cherries. Into the final third there is a very prominent tone of dry earth and honey. 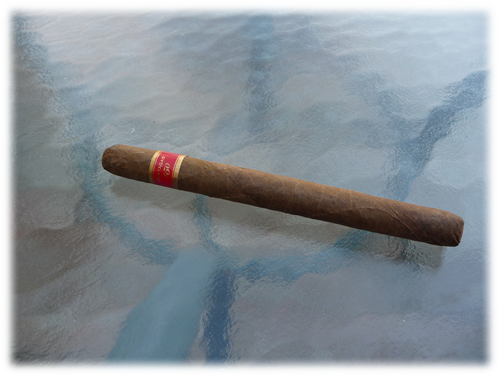 Overall this is a truly unparalleled cigar. 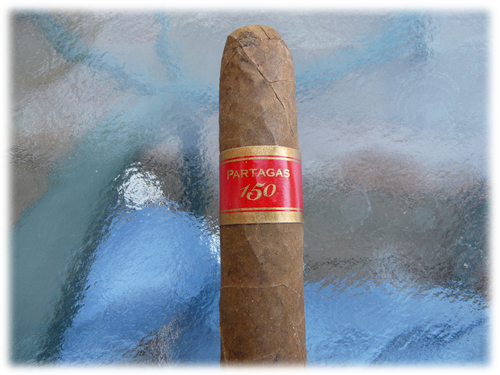 Easily the finest domestic Partagas creation ever - maybe one of the finest non-Cuban cigars ever made. And as rare as they are if you should find one (or more) grab on with both hands and fight off anyone that tries to take them from you. Value: For me, the 150s are free. When they were available in stores, the A would run you around $40. Yes you read that right. Heck, the double A was over $50 in most places! Final Thoughts: With my stock of these gorgeous cigars dwindling, I will probably refrain from smoking more of them for several years. Usually telling fellow cigar smokers that I have these in my collection - let alone winning that whole chest full - is usually met with slack-jawed incredulity. At work once years ago, I gave a couple of them to our commandant on the occasion of his selection for Major General. I can still recall the look on his face when he saw what they were. He tried to refuse but I insisted that they didn't cost me anything. Months later he admitted to having enjoyed them with after a golf outing with his three-star boss. If that doesn't speak volumes as to the character of this masterpiece, I don't know what would. Without a doubt, I highly recommend this cigar....if you can find them.